New issued bank card and all cashless payment cards are upgraded to IC card or contactless card instead of magnetic stripe cards. 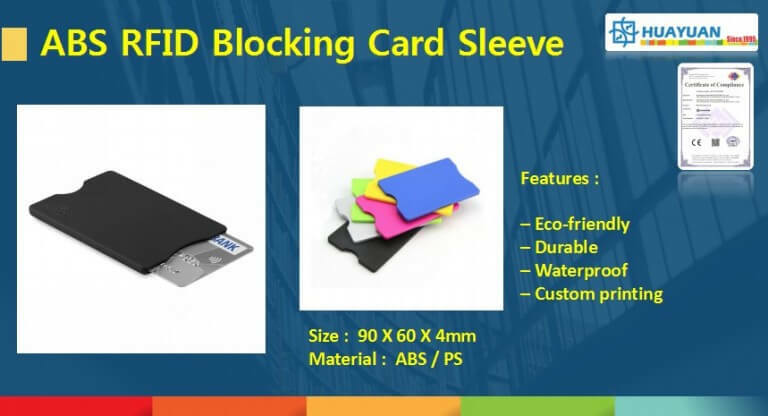 HUAYUAN RFID blocking card is specially designed to protect them from information disclosure by NFC mobile phone or RFD/NFC reader equipment which is very powerful and high secure. Just place it next to credit cards in your wallet. 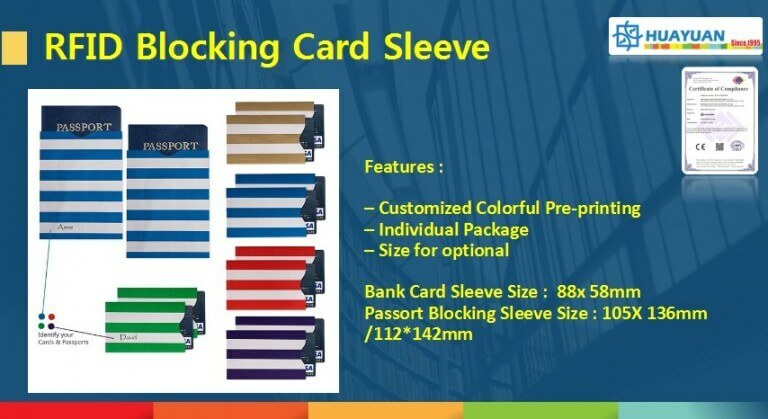 One RFID blocking card can be applied for 6pcs to 29pcs cards next to it. The RFID blocking card looks no different from a credit card but protect them all. HUAYUAN has launched two styles RFID blocking card, which one is ideal for you? We provide RFID blocking cards to use for credit cards and passports.